Turning a tired secondary school sports facility into a vibrant community space that can be used for local residents young & old and local clubs desperate for space. We are lucky. This is a great school full of fantastic students who love coming here. We want to share that enjoyment with local residents who are in need of flexible leisure facilities on their doorstep, especially potential user groups from our nearby estate who do not engage in sport. 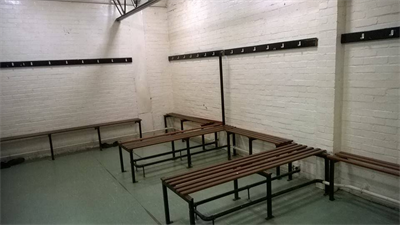 To do this, the changing rooms needs updating from the tired, leaking, 1980s municipal monstrosities we currently have to something more inclusive with wider access, no leaks and even toilet cubicles with toilets and walls. Grey Court School is on the outskirts of London. We are lucky to have Richmond Park on our doorstep for people to enjoy. However, there are simply not enough decent sports facilities to meet demand. 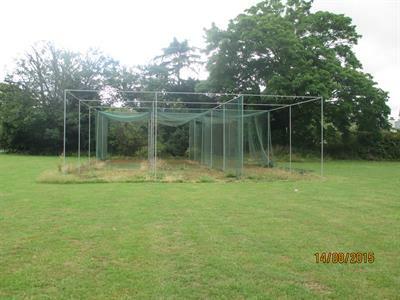 The local cricket club plays on the green but has no local all terrain wickets to train. Inclusive cricket is something that would work particularly well int this area. 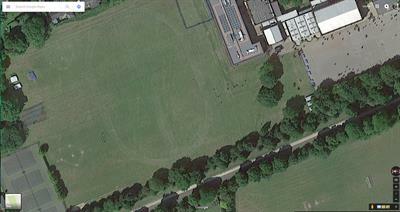 two football clubs have approached the school wanting regular space. One local rugby club also uses the school for minis training on a Sunday. We would love to be able to to give these users aged 5-75 the ability to get changed in private, have a shower if needed and play badminton in a gym where the surface hasn't worn out. 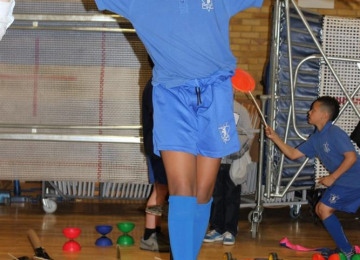 Grey Court school is working hard to raise money on its own to put a Multi-activity suite into the school so people can have personal training sessions or gym sessions. There is demand and we expect non school users to rise to approx 1,000 per year within 2 years of completing this. 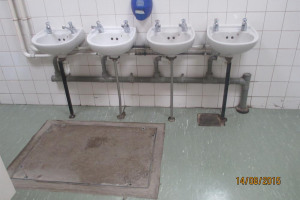 2 quotes already received from builders/suppliers for toilet facilities third quote to come. 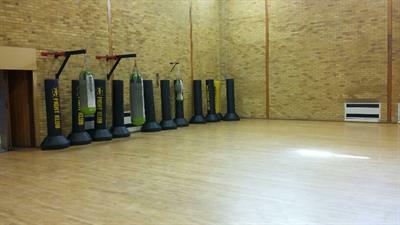 Activity room ready for equipment, Quote in hand, discounts obtained, fundraising underway. No planning consent needed as these are refurbishment works not rebuilding. 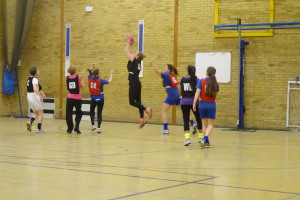 This project is the first part of a 3-part renovation of the Grey Court sports facilities. 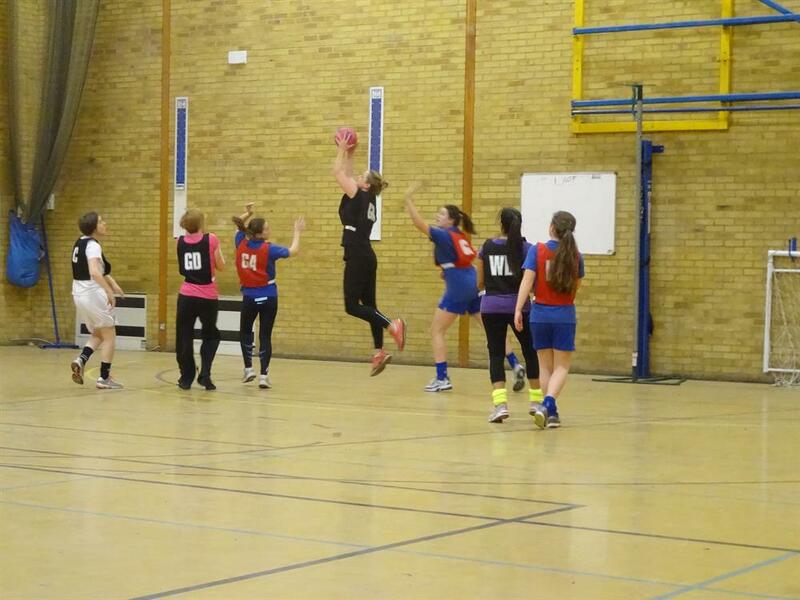 It will enable us to establish community sport here at the school and allow burgeoning groups to flourish. Completing Phase 1 will enable us to open up to the community. 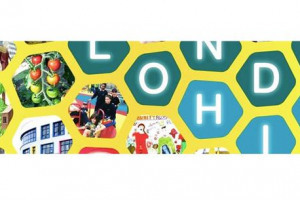 The site will be become available 4 evenings each week and at weekends so that we can offer local residents space to learn, to exercise, to have fun and to meet in a clean, safe, welcoming environment. Two more phases will follow. Phase 2 is in planning: a double height sports Pavilion with dogo and 1st floor studio built onto the gym & changing area that will complete the internal sports & recreation space. Phase 3 will then come on stream, which will be the transformation of tired tarmac netball courts into Multi Use Games Area. We are seeking funding only for phase 1. 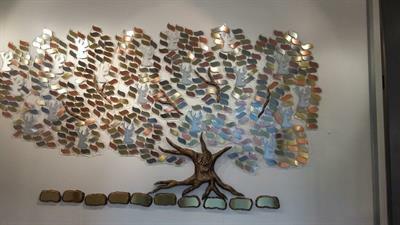 Parents, former students, current students, sports teams, quiz winners etc can all donate money to get their name engraved on a leaf. Bronze silver and gold leaves available for sums between £75 and £500 each. Stags for £1,000 and donor plaques for larger sums. All designed to recognise contributions made to the school. So far, 20 leaves engraved on the tree. Will you donate for the first stag? What a fantastic Easter we've had here at Grey Court! The enormous gym storage has been built, enabling us to empty the space and make it available for community sport activities - including our first "fight klub" on 7th April to which more than 60 people turned up. Brilliant! New cricket mats have arrived today that boost our sporting facilities and help all our students, Ham & Petersham cricketers and wider community cricketers hone their bowling skills ahead of the start of the outdoor cricket season. Much appreciated, thank you. Photo to follow next week when I've unrolled them and examined them. 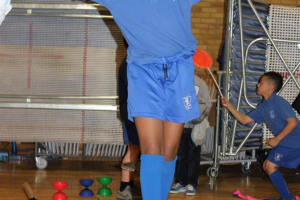 From tennis to trampolining, football to yoga, ballet to basketball, we want to change tired, leaky, inaccessible facilities into functional and fit for purpose for everyone. 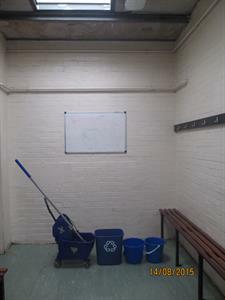 No more lines of buckets in changing rooms and corridors every time a raindrop falls. This was August (when it wasn't as damp as it is now). It's time to turn Grey Court into a proper after-hours community space for all to enjoy. Help with bid and business plan writing for Grey Court and Khalsa Karate's Community Sports Centre. Ideally having experience with large bids for capital and refurbishment projects on this scale. 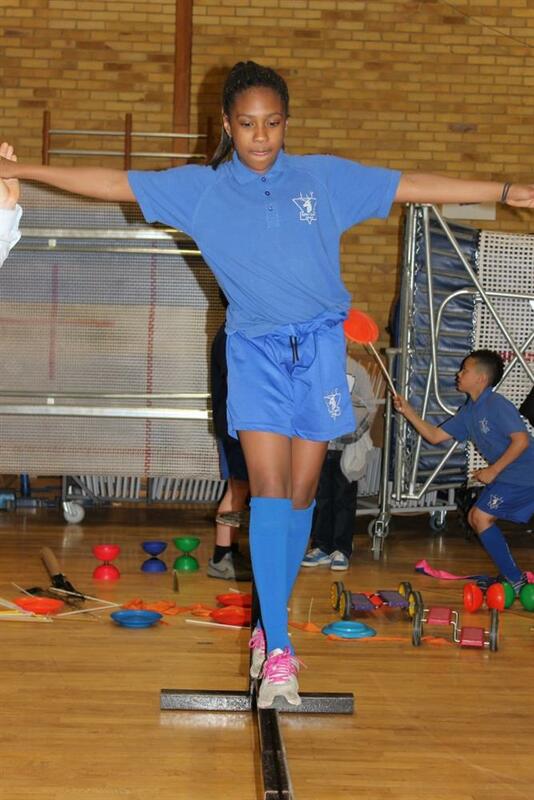 Grey Court School is a vibrant, bustling secondary school with approximately 1400 students aged 11-18. The school is successful helping students from more than 40 nationalities excel in their chosen fields. Each year the students' results just keep getting better and better and we are (I believe justifiably) proud of the way students and teachers throw themselves into making Grey Court a creative, buzzing learning environment. Our goal is to be a community facility for all local residents, not just for school age students. The Community allotments have flourished on school grounds since 2009 and are regularly tended by local residents from our neighbouring estate. We also have community chickens! There is unmet community need for decent sports, arts and leisure facilities that can be used year-round. 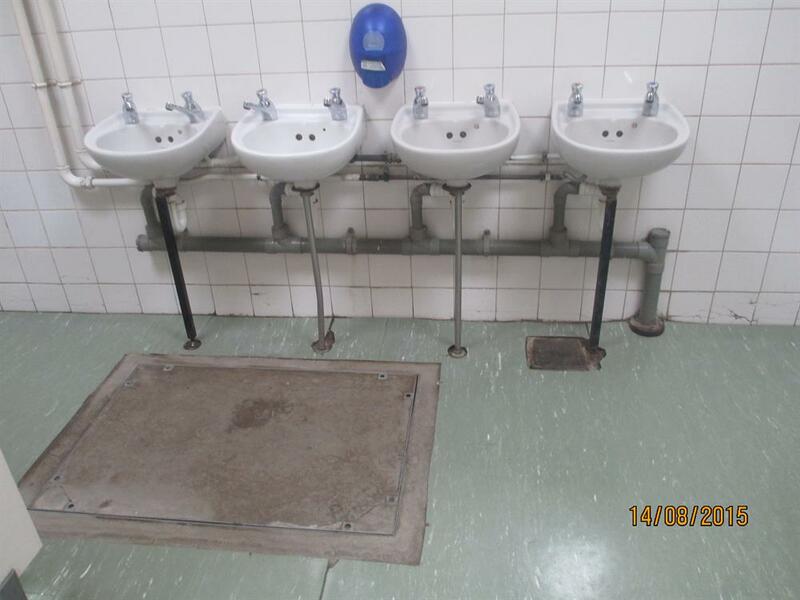 While Grey Court has the physical spaces available, many are not fit for use, there are roof leaks, toilet facilities that lack sufficient access (or cubicle numbers); one even has no walls or door (!). 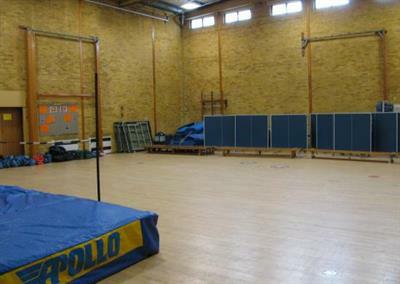 However, by working with local sports providers we have plans to turn our space into a double storey community sports school with a karate specislim, with changing facilities that are fit for use, together with multigym activity suite, sports hall, dance/boxing studio and an outside Multi Use Games Area. Together with our community partners we will address these issues, one at a time, to make sure there is a sports & leisure complex for everyone to enjoy, especially those for whom sport and fitness ias not a preferred lifestyle choice. Project Delivery Manager: Grey Court School The Project Delivery Manager takes legal responsibility for receiving and spending the funds raised and ensuring the project is delivered. Contractors: Durant Cricket,Precor,Prestige Interiors The team responsible for building or installing the project.